I’ve been a GMHBA private health insurance member since 2004 and in this review I describe why I think they’re the best low cost quality private health fund in Australia. Geelong Medical and Hospital Benefits Association was established in 1927 by a group of Victorian workers to protect themselves, their families and their workmates from unexpected medical expenses. Many years later the fund has changed it’s name to GMHBA because it has members around Australia – but it still operates the same way – as a mutual, not-for-profit private health fund providing low cost, high quality medical insurance. Traditionally most of the Australian private health insurance consisted of not-for-profit funds like GMHBA. However over the last few years several not-for-profit funds have listed on the stock market becoming commercial funds interested more in making profits and increasing their share price than in providing low cost health insurance to members. By remaining not-for-profit GMHBA saved paying $4.85 million in taxes in 06/07 which saved members $66 on average in reduced membership fees. 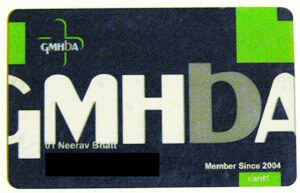 As further independent proof of GMHBA’s value, in August 2007 Australia’s leading consumer magazine invited 38 Australian health funds to participate in a hospital health insurance comparison and basing their ‘Best Buys’ on: price, conditions, restrictions and benefits GMHBA won more ‘Best Buy’ mentions than any other health insurance fund for the second year running. Cheers mate, and all the best with the site – am enjoying! I’ve made another website for you to check out. It’s a corporate health cover website. While it looks dull and boring, it might have a few surprises! Don’t you think that this is the time to change your theme now. I mean this one is less attractive. Although there is no doubt that your blog keep giving us fresh content and I think that’s forcing us to come again and again. Hi, I am thinking of joining my family and I to GMHBA, what are they like as a health fund. Being not for profit is great but do they deliver the services like some of the other majors?. Back in the good old days when health cover cheap and education was free.. where are those days now? GMHBA actually looks like a good alternative for knowing that it’s run to profit members. The last thing we want is to be like the US healtcare system where the cost of insurance is out of reach for many people.